On May 25, 2016, Professor John Webster, one of the world’s great contemporary theologians, suddenly and unexpectedly entered glory. Within hours memorials began to appear. Following his training at the Bradford Grammar School and the University of Cambridge (MA, PhD), Webster took his first teaching post at St. John’s College at the University of Durham. After four years he moved to North America where he spent a decade teaching at the University of Toronto. He returned to England in 1996 with an appointment to the prestigious Lady Margaret Professorship of Divinity at the University of Oxford, which he left in 2003 for the open spaces of Bonnie Scotland. In Scotland he served as the Chair of Systematic Theology at the University of Aberdeen until 2013 when he took up an identical post at the University of St. Andrews. Many of the memorials have mentioned a particular trait that characterized Webster: humility. He cared about his family, students, and colleagues more than academic accolades, which, although never sought, were plentiful. In the introductory chapter to The Cambridge Companion to Karl Barth, John Webster quoted from a speech Barth had given on the occasion of his eightieth birthday: “As a theologian one can never be great, but at best one remains small in one’s own way.” Those who knew Webster would agree this was indicative of him as well. But the God whom his theology celebrated is great, and for that reason Webster’s contribution is far from small. Webster’s theological work began with interpretive analysis of the protestant theologians Eberhard Jüngel and Karl Barth, both of which he believed had set forth compelling proposals for understanding divine revelation. He would soon become one of the world’s foremost interpreters of Barth. Reading Barth, he realized, was a complex task, and did not lend itself to neat summaries. Barth’s work had not always been studied with the necessary depth and breath and, therefore, was often misunderstood and sloganized. Those seeking a simple linear argument could be totally frustrated by Barth, since, according to Webster, he moved with an almost musical structure—announcing a theme and extending it over a long series of developments and recapitulations across thirteen massive volumes. Webster was careful in his own logic, writing with a rarely matched level of precision, clarity, and brevity. Yet maintaining an openness to re-examine one’s own work, to keep thinking, was a trait Webster gleaned from Barth. Recently, while hard at work on his systematic theology—which, sadly, will remain unfinished—Webster mused that he had just re-read the first volume of Barth’s Church Dogmatics the previous week and was wrestling again with the significance of the doctrine of the Trinity, something those familiar with Webster’s work would have assumed he had fully settled decades earlier. “It’s the relation between revelation and the Trinity. … I don’t think Barth gets it right, but as I re-read it I think he’s right to make the connection,” reflected Webster (see T. Whitman’s memorial). Webster also gleaned from Barth the relationship between theology and the church, observing that Barth was decidedly a church theologian who saw theology as “an aspect of the holiness of the church, the sanctification of speech and thought” (The Cambridge Companion to Karl Barth). He therefore worked as a positive theologian—that is, one who takes his or her task and its object as a positum, “given” by God rather than invented or derived from elsewhere. Webster’s work also contains an acknowledgment that Christian theology is an intentionally relational task that is prompted, not by culture, but by one who acts from beyond human history. He quoted Günther Dehn, in asserting that only such a theology “can help build up a church that really stands unshaken amidst all the attacks of the spirit of the age. Such a church alone will be the salt of the earth and the light of the world” (Holy Scripture). As a positive theologian, Barth maintained that Christian theology was governed only by the reality that gave rise to it, namely, the God revealed in the gospel of Jesus Christ. It is the gospel that measures the speech of the church. So, when dogmatics ventures onto the critical path it does so as an ancillary and self-critical utterance, indicating the scope and vitality of the gospel within the Christian community that testifies to the reality of God. Webster took the point to heart; writing of his own theological program, he said: “Christian theology does not search out its object, still less create it for itself. Its originating context is the gospel which has already been uttered, in which God expounds his own presence and which is set out in the apostolic word. The task of theological reason is to pay constant and ever-fresh attention to that gospel, with a measure of focus and single-mindedness” (Confessing God). With such an aim Webster was departing from the theological culture in which he and many other modern theologians had been trained, one which, according to him, suppressed constructive and positive dogmatics in favor of doctrinal criticism. Modern theology tended to approach its subject matter in light of the particular “problems faced by those who felt acutely responsible to do their theology under the bleak searchlights of what were taken to be normative modern intellectual developments” (“Discovering Dogmatics,” in Shaping a Theological Mind). The theological agenda was being set by something other than God himself. Of course, the human work of theology is a creaturely activity, but “the matter of the gospel is not; even as it announces itself increasingly in creaturely forms, the matter of the gospel is God” (Word and Church). Webster swam against the stream, but was untroubled. He saw his work as a calling to rehabilitate an older theological frame of mind, ordering all things from beginning to end in relation to God. His goal was to be as faithful as possible to directing his attention to the gospel as announced in holy scripture and to draw composure and confidence from the fact that theology rightfully proceeds only in the wake of God’s own speech in the gospel. For Webster theology must be clearly tied to its subject matter, accepting no outside regulation. This is the foundation of what he called theological theology—“A theological account of theology describes its nature and functions by invoking language about God, describing the human actions of creating and reading theology in relation to divine agency” (“Reading Theology,” in Toronto Journal of Theology). Theology is not merely the study of God and things in relation to him, it is moving at all times with theological categories utterly unique to and given by God himself. Theological reasoning is grounded in the gospel rather than any other frame of reference (such as a philosophical, sociological, or psychological account of the human condition or religious aspirations). Human reason itself caught up in the history of creation, fall, and re-creation as it inquires after the reconciling God who claims it in the sanctifying act of revelation. Theological reasoning is the fruit of God’s reconciling act, an “overflow of divine benevolence in which God gives to creatures a share in his boundless knowledge of himself and all things” (The Domain of the Word). Hence, according to Webster, revelation generates actual knowledge, not merely the possibility of knowledge. “God is not summonsed into the presence of reason; reason is summonsed before the presence of God” (Holiness). 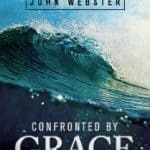 As he began to follow his own prescription, Webster found himself ambushed by “the preponderance of God’s infinitely deep, fully realized life,” particularly as it touched the relation between the Trinity and creatures (The Domain of the Word). He drove this home with force to one of his students: “If your doctrine of God doesn’t scare the bejeebers out of you, then you’ve missed the point.” Character first, then causation. All other doctrines are extensions of theology proper. Here is how attention to the gospel and a “character first” focus steers theological reason. Theology is not free to operate differently, argued Webster, since the gospel is truth in itself, a reality that generates and governs even its own reception as it bears witness to God’s revelatory and reconciling presence. Not a free science theology “is a counter-insistence to the (destructive) assumption that science can only be science if it takes its law not from its object for but from itself. For may it not be that what inhibits the open exercise of theological reason is not that which gives theology its law but resentment of that law? And, further, may it not be that the difficulties which attend theological work have much to do with our resistance to God’s reconciling presence?” (Confessing God). Such questions are indicative of the shift in Webster’s theological method. Where his early years had concentrated on analysis and critique of other theologians, his latter years exhibited a confidence in working out theology as doxology. He decided to “work on the assumptions of the truthfulness and helpfulness of the Christian confessions, and not to devote too much time and energy to developing arguments … or responses to its critical denials”; to structure his work “in accordance with the intellectual and spiritual logic of the Christian confessions, to allow that structure to stand and explicate itself, and not to press the material into some other format”; and to take the Apostle’s Creed as a guide to the gospel set out in holy scripture. “Once I resolved to work in this way,” he said, “I thought I quickly found that the substance and order of Christian doctrine displayed itself as much more grand, and much more comprehensible, then when I had approached it as a series of critical problems” (“Discovering Dogmatics,” in Shaping a Theological Mind). Webster’s theological methodology is a corrective to so much that can (and often has) gone awry in Christian theology. Inadequacies that cause theology to slip from doxology into speculation can be kept at bay by simply directing attention to God himself and his gospel. And this means, wrote Webster, that “for all its scope, Christian theology is an exercise in concentration, required to fix its eyes not on everything but on the ways of God; only in assent to this restriction will theology find itself having something to say about everything” (God without Measure, vol. 1). This conviction explains Webster’s consistent interest in and explorations of the divine perfections. “Perfection is not at the root a formal concept,” said Webster, “but a material one: it indicates that, without restriction or lack, and in fullest measure, God is thus. Its context is therefore to be determined not from abstract notions of deitas but from God’s self-demonstration which is announced in the Christian gospel. The Christian theological concept of God’s perfection is an attempt to give conceptual expression to the great divine tautology: I am who I am; part of the force of that tautology is that God both specifies his own perfection and declares it in the enactment of himself” (Confessing God). Because God’s perfections are not self-enclosed but extended to creatures in the creative, preserving, and restoring communication of the gospel, we encounter the reality that God’s perfection “is the fully realized singularity and unity of the Holy Trinity” (Confessing God). The holy uniqueness of God’s triune life means creatures could never participate substantially in God’s being; having a relationship with God arises only through God’s own movement toward us in election and fellowship. “God’s inner perfection and bliss apart from creatures is the very ground of his relation to them,” says Webster (Word and Church). Since God is not self-enclosed in his perfections, but his perfection includes his self-presentation as majesty-in-relation, Webster held God’s revelation and its inscripturation to be of utmost importance. He devoted two books, amongst other articles, to the matter: Holy Scripture: A Dogmatic Sketch, and The Domain of the Word. Revelation for Webster “is a way of talking about those acts in which God makes himself present” (Holy Scripture); the texts of holy scripture are, therefore, “the prophetic and apostolic sign of divine revelation, that is, of God’s benevolence in granting rational creatures a share in the supreme wisdom proper to him alone” (The Domain of the Word). Revelation is not only theology’s object, but its personal Subject, “the one before whose presence it is ordered to appear” (Confessing God). The work of theology is to pay close attention to, listen to, and reason together with these sanctified servants who are a recognition, contemplation, and articulation of God’s own wisdom and movement. “[I]n a well-ordered Christian theology, the divine movements of revelation, inspiration, and illumination do not compromise the human movements of authorship and interpretation. Showing that this is so, however, obliges theology to attend to doctrinal work on creation, providence and the Holy Spirit, in order to demonstrate that divine revelation is not a unilateral cognitive force but a compound act in which the creator and reconciler takes creatures and their powers, acts and products into his service. God speaks from his human temple” (The Domain of the Word). Holy scripture is, then, according to Webster, human words formed and preserved by God as a sign of his loving address which non-violently enlivens, sanctifies, and moves human intelligence. It is not “cultural poetics,” but a set of texts brought forth “in conjunction with purposive divine action”, such that what is said about the triune God, is said by extension about revelation, and by further extension about holy scripture. “What scripture is as sanctified and inspired is a function of divine revelatory activity, and the divine revelatory activity is God’s triune being in its external orientation, it’s gracious and self-disclosing turn to the creation” (Holy Scripture). Since theology testifies to the gospel in this way—in the wake of and in submission to God’s self-disclosure—Webster summarized the discipline’s two main subtasks as exegesis and dogmatics. Exegesis attempts to hear what God in scripture says to the church, and forms the backbone of dogmatics. Dogmatics is the complimentary and subordinate task of producing “a set of flexible accounts of the essential content of the gospel as it is found in holy scripture, with the aim of informing, guiding and directing the church’s reading. Dogmatics attempts a ‘reading’ of the gospel which in turn assists the church’s reading” (Holiness). Webster was interested in neither conversational nor comparative theology. He leaves us rather with a constructive, positive theology that riffs on the structure of the historic Christian creeds, bringing a thoroughgoing emphasis on God’s triune being to bear on all things in response to the promise and claim of the gospel disclosed in sanctified scripture as an act of doxology. We have surveyed the major marks of Webster’s métier, yet it is important to know that he was not cloistered in the ivory tower. As a church theologian it was important for him to be involved in the church’s life. During his training at Cambridge he participated in the Christian Union, and from the moment his teaching ministry began he engaged in preaching. His posting at Oxford brought with it appointment as a residentiary canon of Christ Church Cathedral. And he would occasionally deliver messages at chapel services at the universities of Aberdeen and St. Andrews. Preaching he said was “one of the principal ways in which the God of the gospel has dealings with us. The gospel’s God is eloquent: he does not remain locked in silence, but speaks. He does this supremely in the mission of the Son of God, the very word of God who becomes flesh, communicating with human creatures in human ways, most of all in human speech” (Confronted by Grace). Jesus came as a preacher and charged his followers to preach, to carry forth the gospel from and about him. For “[p]reaching is not any sort of public Christian discourse,” attested Webster, “it is the church saying something about the words of this text [holy scripture], on the basis of the words of this text, under this text’s authority, direction and judgment. … The sermon repeats the scriptural word in other human words, following the Word’s movement and submitting to its rule. In this the sermon assists in the work of the divine Word, which builds up the church, making its life deep, sturdy and vital” (Confronted by Grace). Webster never thought that he had arrived at perfect theological enlightenment, and was always willing to be self-critical. We have noted his first major shift in separating from the approach of his early theological training, but over time more developments came. His historical judgment, for example, shifted; he became less critical of post-Reformation Protestant Scholasticism and began to work backwards through the tradition, gleaning much from 17th and 18th century theologians (most notably John Owens and Francis Turretin). His interest in the catholic fathers also grew; he was drawn especially to Thomas Aquinas’s intellectual clarity and depth of piety. Aquinas’s voice echoes beneath some of Webster’s more recent work, such as his declaration that “theology is orientated chiefly to invisible things, things that are unseen (2 Cor 4:18)” (God without Measure, vol. 1). On the other hand, had Webster’s work continued we may have expected to see a greater emphasis on the doctrine of creation, through which Webster foresaw his theology becoming “less abstract and more persuasive, as well as more relaxed” (Confessing God). Looking over his body of work three major phases emerge: an early phase, marked by critical analysis, historical interpretation, and Barthian description; a middle phase, which worked from a conviction concerning theological theology and positive dogmatics, which followed the structure of the Christian confessions; and a late phase, marked by a post-Barthian, evangelical, catholic, and Reformed independence that focused on doing theology doxologically. John Webster was an example of dignity, charity, kindness, and humility. Whether chatting about the classics of literature, music, and art, sharing a pint, or cracking jokes, no one would have ever known they were in the presence of one of the world’s leading theologians, for he neither drew attention to his gifts nor pointed out the shortcomings of others. Rather, his aim was to create a Christian theological community, where gracious camaraderie ruled, rather than cutthroat competition. For those who worked alongside him or studied under his tutelage, his departure means the loss of an intellectual father and loving friend. He left several theological projects unfinished; we shall never know the impact they would have had on the church’s reading of the gospel. Yet John Webster’s greatest legacy is not the ink written in books, but the impact made on lives of those who will try to make up the considerable slack he has left in his departure. This blog post was written by Daniel Bush, author and former student of John Webster. To discuss this and other pieces Dan has written please join his group on Faithlife.